Wells St. and Monroe St.
Philipp Heinrich Ludwig Kilo was born 24 Jan 1821 in Lohnberg, Prussia. He married Anna Maria Schell on 23 Jun 1844 in Prussia. She was born 14 Mar 1824 in Kriedorf, Prussia. The settled in Chicago, IL around 1855. Philipp died 24 Jul 1889 and Anna Maria died 10 Feb 1906. They are buried in Graceland Cemetery in Chicago. For further details, contact the Chicago Genealogical Society. 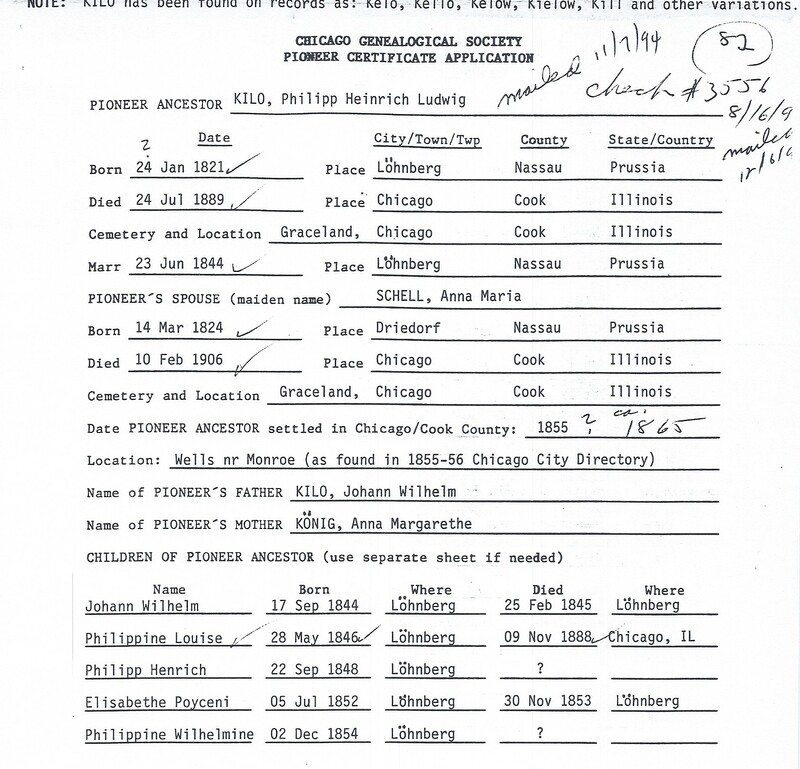 Philipp Kilo is Pioneer Ancestor number 82.